Switch up your home decor with inspiring switchplate covers. Scripted sentiment is screened onto standard white plastic switchplate; packaged with screws for attaching. Made in the USA, 3" x 5". 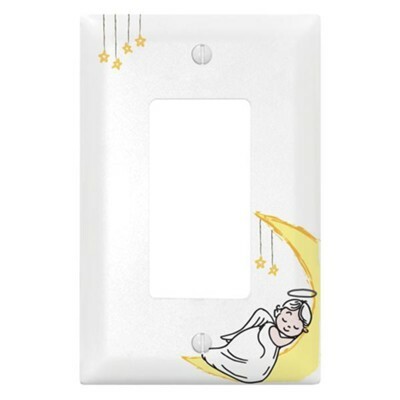 I'm the author/artist and I want to review Angel, Moon and Stars, Switch Plate Cover.